The BBA hosts an Annual Luncheon each January, which brings together BBA members, community and civic leaders, business executives and local media. 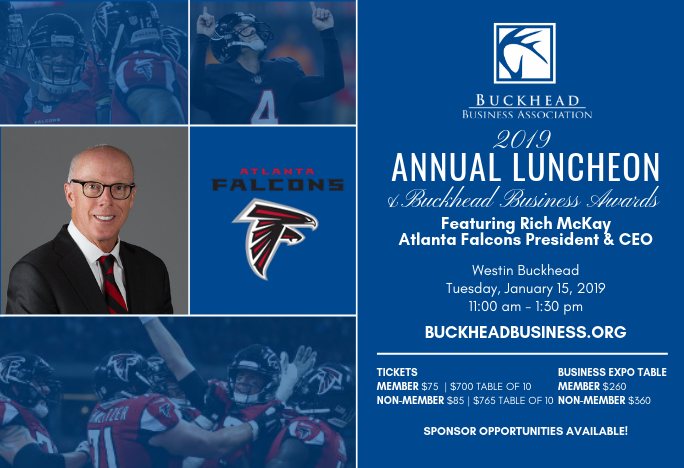 The Annual Luncheon features a keynote address by one of Georgia’s business elite as well as the presentation of several community awards, including the prestigious Buckhead Business of the Year Award. Each year, the BBA honors five Buckhead businesses that fill a niche in the market, showcase excellent customer service, and demonstrate a commitment to the community. Other BBA annual awards include Bullish on Buckhead, the Buckhead Beautification Award and Entrepreneur of the Year. Klaus Zellmer, President and CEO of Porsche Cars North America, Inc.